Eve Langlais is a Canadian author who keeps wowing us with her books. This is the first of a three part series and it's fantastic! You will laugh, you will cry and you will see yourself in at least one of the characters. The people in her books are all unique but the one constant is that they are comfortable with who they are and are not afraid of letting the world see them as they really are. If you like strong alpha males and females you will love this book and I would encourage you to read other books by this author. Different than the normal paranormal romance books I normally read but a good book. Author has a funny and entertaining way to her story telling that made the book a quick and enjoyable read. 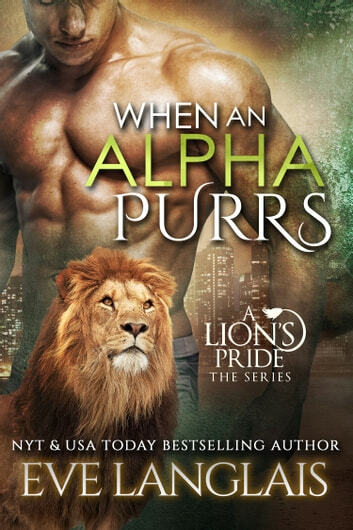 The book definitely has the whole alpha male finding his mate and declaring her MINE that is common in PNR and shifter books but what it does lack is the sexual heat I have become acustom to in other writer's books. This does not take away from the story at all however. Found the book very entertaining and will be reading more from this author. Growing up I read books with this storyline and I thought it was so romantic. Now as an adult it worries me. It's very entertaining and parts of this book are hilarious, but this whole "mine" business, and kidnapping, and women just not being in control is not part of a healthy relationship and are all actually signs of an abusive relationship which should never ever be tolerated in real life. To all you young girls, read for fun but don't believe this whole controlling man thing and you have to go along with it because if you don't things go bad. A true alpha is sure of himself, so he isn't afraid to be in a relationship and of treating his partner as an equal.